As journalists know, stories can run in unpredictable directions. The adbuction and subsequent murder of Milly Dowler, a 13 year old girl kidnapped on her way home from school in Surrey, England on March 12, 2002, began a trail that led not just to the conviction of her murderer but to the closing of one of Britian’s most venerable newspapers, the embarrassment of a mighty press baron and, perhaps, the gravest threat to British press freedom in peacetime memory. The discovery that journalists were deleting messages from Dowler’s voice mail—which is alleged to have given her family “false hope” that Milly might still be alive—turned a tabloid story eagerly lapped up by the British public into a historic disaster for the British press. Rupert Murdoch, never previously considered a soft touch or the kind of man easily-shamed, was brought to heel, with News of the World, his flagship Sunday tabloid abruptly shuttered. But it didn’t stop with Murdoch: parliament began haranguing the whole of Fleet Street. The hunters were suddenly discovering how little fun it was to be hunted by enemies who’d been waiting years, if not decades, for the chance. Add allegations, not all of them unfounded, of unsavoury relationships between the press and easily-bribed police officers, plus the suspicion that media companies were in the business of dictating policy to politicians—rather than, as would traditionally be expected, the other way round—and it was clear that rules of the media game would never be the same. The unlikely vehicle for change is Prime Minister David Cameron. He was so embarrassed by his own close links to journalists (and especially the Murdoch empire) that he had no choice but to order an inquiry into the state of the British press under the leadership of an experienced judge, Lord Justice Leveson. A year later, Leveson has delivered his report—all 2,000 pages of it. Predictably, it has elicited howls of indignation from journalists (who fear their privileges are under assault) and from opposition members of parliament (who fear Cameron will wriggle away from implementing Leveson’s most important recommendations). Appreciating that the press was concerned by the prospect of “statutory regulation” (ie: direct oversight from the state), Leveson’s report recommends tougher self-regulation that would be backed by statute. Whether you consider this “statutory regulation” or not is, in the end, a matter of little importance. It may not be called that but, if backed by parliament, that is what it will be. The man, or woman, charged with “ensuring” a new regulatory regime meets “the required level of independence and effectiveness” would, under Leveson's proposals, be appointed by the government. In other words, the new regime he recommends would be independent of the newspaper industry but not, in the end, necessarily independent of government. Of course, Leveson also claimed that such a figure would only become involved in press affairs in the event that a new regulatory regime proved ineffective. But one need not be a seer of any great vision to anticipate that this might soon happen. Regulatory-creep is a fact of life. Why should regulating the press by any different? To believe otherwise is as naive as supposing the only villains on Fleet Street were those employed by Rupert Murdoch. Leveson was clear: “I cannot—and will not—recommend another last chance saloon for the press” he said. As he noted, campaigners have agitated for press reform for at least 70 years. But Leveson’s moralism aside, and despite the testimony of the Dowlers and other victims of Britain’s press culture, this is not ultimately a fight pitting ordinary people against mighty Fleet Street. In its essence, this is a power struggle between politicians and the press. Much of the British left considers the press akin to some band of marauding, over-mighty medieval barons who should have long since been brought to heel and then to some form of summary justice. There are measures of bloodlust and revenge at work here. Murdoch, despite his willingness to prop up money-haemorraging papers such as the Times, is the greatest of all these villains in the left’s imagination. Anything which cuts him down to size is seen as worth the risk, the expense and the trouble. Even if it has unfortunate or unforeseen consequences. Even the right is not as solidly on the side of press interests (or, if you will, press freedoms), as it once was. Some 42 Conservative MPs wrote to Cameron supporting legislation to curb journalism’s excesses. If it were just a matter of just a little regulation it might be easier to support Leveson’s report. But a little regulation is a difficult line to hold. The temptation for just a little bit more (in the name of tidiness, you understand) will be ever-present. That's not to argue that those unfortunates traduced by the British press should not have a swifter, more effective, cheaper way of seeing their grievances redressed. The rules of the game are changing and, like Lampedusa’s Sicilian nobility, the press has started to understand that things will have to change if they are to stay the same. But the culture of British journalism is itself something worthy of protection. 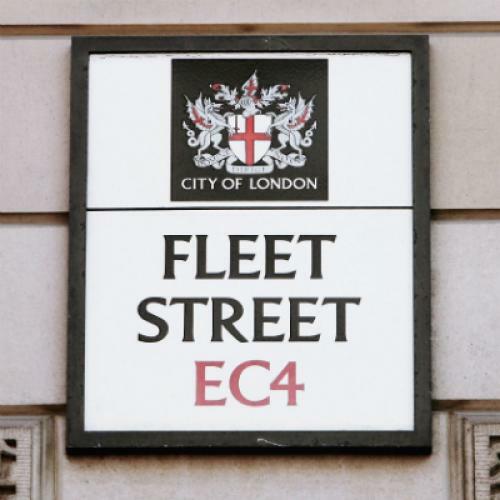 Fleet Street has long prided itself on its ability to live on its wits. Its practitioners are members of a grubby trade; unlike their American cousins they do not consider themselves members of a profession. Despite lacking the protection of anything as grand as the First Amendment the British press have largely managed to thrive until now in its own scrappy way, living on its wits while serving the public. Even without government-backed regulation, however, it seems as though that tradition isn’t meant to last. The public’s expectations and affections have irrevocably changed. And yet, as the lights flicker, one cannot help but wonder if Britain’s unusually uncorrupt public life will really be improved by anything Leveson has recommended. But that is not something Lord Justice Leveson has paused to consider. In 2,000 pages of thumb-sucking, ponderous reflection and recommendation he devotes just a single page to the internet. If this is the end of one era that merely means it is the opening of another. The game is still the game.